• Biodiesel fuel created from spent fryer oils. There will be a full bar serving craft beer from our local micro-breweries, as well as Oregon produced wines from the various wineries located in the valleys nearby Eugene. The dinner will feature Live Music and DJ from beginning to end. So we hope you will wear your dancing shoes — or take off your shoes and dance on the grass! 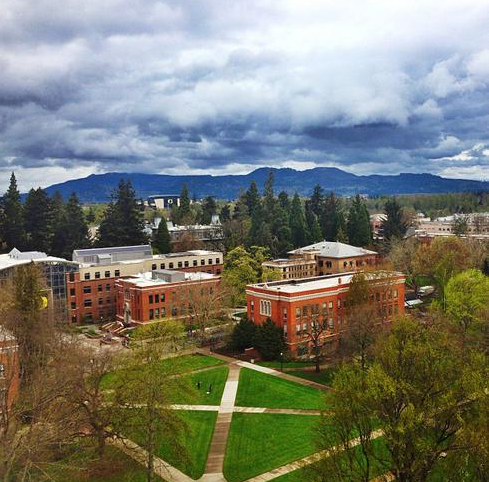 Several key buildings surround The Memorial Quad: the main campus library, Knight Library, on the south side; the Lillis Business Complex, on the north; Prince Lucien Campbell Hall and Condon Hall on the west; and the Jordan Schnitzer Museum of Art on the east. 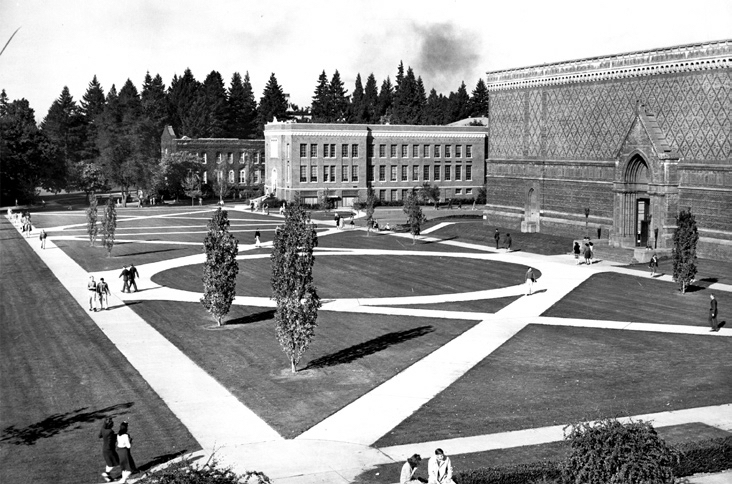 The Quad gets its name from three distinct memorials: a plaque dedicated in 1921 to University of Oregon athletes; the distinctive walks of the Quadrangle that honor students who fought in the Spanish-American and First World Wars; and the eight Pyramidal English oaks planted in 1940 to honor the senior class president of 1939. The Quad serves as an open space for graduation ceremonies, music concerts, and political displays and rallies, including the visit of presidential candidates (for example Barack Obama in 2008), and events like IAMCR’s Green Gala Dinner.